Rochester Family Law & Estate Planning practice has strong roots in the community For more than 50 years, Bebout Potere & Cox, PC has been providing clients in Rochester, Michigan, and throughout Oakland and Macomb counties with skilled, attentive legal counsel. Building and sustaining relationships with clients is something we take pride in. At our law practice, clients come first. When you call our office, we listen to you and we are motivated to make sure you get the quality representation you deserve. Quality service is guaranteed when you have two compassionate and experienced lawyers by your side. 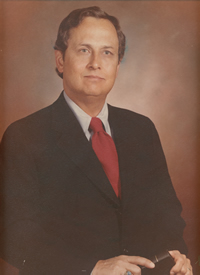 Arthur R. Cox, an attorney for more than 55 years and a principal founder of the firm, is known for his upstanding reputation. He has earned an AV Preeminent Peer Review Rating by Martindale-Hubbell, the highest recognition possible in the legal industry, for his professionalism and ethics. An honest and sincere attorney, attorney Sarah A. Cox has 20 years of experience and is well known for her integrity and exemplary legal service. Testimony to this is her BV Distinguished Peer Review Rating by Martindale-Hubbell for her professionalism and ethics. A Rochester one-stop resource for all your Family Law & Estate Planning legal needs Many of our clients have been with us for years, and most have been referred to us by past or existing clients. They turn to us for legal advice on a variety of different issues, including: -Family law -Estate Planning, Wills, trusts, Durable Power of Attorney, Durable Power of Attorney for Health Care and Designation of Patient Advocate Building close, trusting relationships is a priority at our firm. We aim to provide you with personalized attention, respect and care, and most importantly with effective results. And we do so by accessing most of the same vital resources available to larger law firms while providing sensitive, responsive service to our clients. Although we are compassionate attorneys, we are also aggressive litigators, and we make sure your rights are protected through trial, when necessary. We are committed to ethical legal representation and always telling you the truth. Empowering you to make informed decisions is our ultimate goal. Bebout Potere & Cox, PC handles a wide variety of family law matters. Our practice is dedicated to preserving important family relationships whenever possible. We work hard to resolve issues involving your family and their assets and strive to ensure a safe and comfortable future for your children. 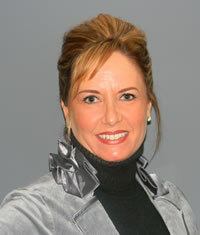 A skilled and experienced family lawyer, attorney Sarah A. Cox can help you with: -Divorce contested and uncontested, Military -Annulments -Separation Agreements -Child custody and visitation -Child support -Dissolutions -Property division -Post judgement of Divorce Enforcement -Alimony and spousal support -Domestic violence - Restraining Orders -Prenuptial and postnuptial agreements -Paternity -Name changes -Termination of parental rights Our knowledge and skill in mediation, collaborative law and alternative dispute resolution has been very effective in resolving family conflicts without going to trial. We are also prepared to aggressively represent our clients in court, if and when the need arises. Compassionate assistance. Aggressive representation. Divorce: We are prepared to handle all aspects of your divorce and work our hardest to help you obtain the most favorable trial outcome. Child custody and visitation: Often the most contentious aspect of divorce, determining child custody arrangements and visitation schedules, can be tailored to suit your unique family dynamic and your needs. We listen to your concerns and goals and answer your questions in a fully confidential setting. Child support: Child support is available to custodial guardians of married and unmarried parents. Schedule an appointment with us to find out how much child support would be payable in your case. We can also help with child support modifications or enforcement. Alimony and post-separation support: These forms of spousal support are sometimes available to the dependent spouse, considering the length of the marriage, property division arrangements, standard of living enjoyed during the marriage and many other factors. We can help you determine a fair and agreeable alimony or post-separation support amount based on the specifics of your family life. Property division: We encourage clients to come to an agreement regarding dividing assets accrued during the marriage. If two spouses cannot reach a property settlement agreement on their own, a judge divides the marital assets and debts according to Michigan's equitable distribution laws meaning the judge divides property in whatever way he or she thinks is "fair" or equitable given the circumstances. By law, fair or equitable does not mean equal. We help our clients reach a workable property settlement agreement. And we will not hesitate to take your case to court if your spouse refuses to be reasonable. If so, we will position your case as favorably as possible in order to maximize your property settlement award. Termination of parental rights: Sometimes in cases of abuse or neglect, it is necessary to seek a court order terminating the parental rights of the abusive or neglectful parent. Restraining orders: We can help you obtain or enforce a restraining order in either civil or criminal court. Premarital or prenuptial agreements: Couples should consider prenuptial agreements if one or both are entering into the marriage with a lot of assets or debts. We help you draft premarital agreements, and even work with you to challenge the terms of a defective prenuptial agreement. If necessary, our family law attorneys litigate your matter in court. Name changes: We can efficiently file necessary court documents to formalize a name change after marriage, divorce or adoption. We provide a full range of family law services. Reach out to us today to find out how we can help you.